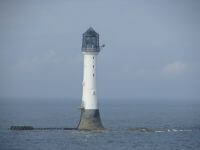 Inch Cape Offshore Limited has successfully deployed a ZephIR 300 lidar on the historic Bell Rock lighthouse, 17km off the Angus coast. ZephIR 300 has been mounted on a platform on the north east of the lighthouse using a specially designed support frame measuring wind direction and wind velocity and will augment wind measurements from onshore sources and from a dedicated offshore met mast that is expected to be installed in October 2014. The ZephIR wind data provides a real opportunity to enhance the energy assessment and revenue forecasting, which is an essential part of design refinement and the overall business case for the project. The installation of the unit was carried out by SgurrEnergy who designed and fabricated a support structure which secures the ZephIR device near the top of the lighthouse. The design and installation have been optimised to reduce time spent offshore and minimise impacts on the lighthouse operation and the structure itself. 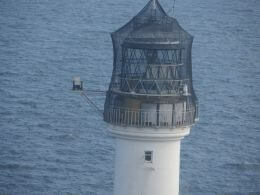 Successful installation was completed safely by a range of specialists under the supervision of SgurrEnergy and the Northern Lighthouse Board.